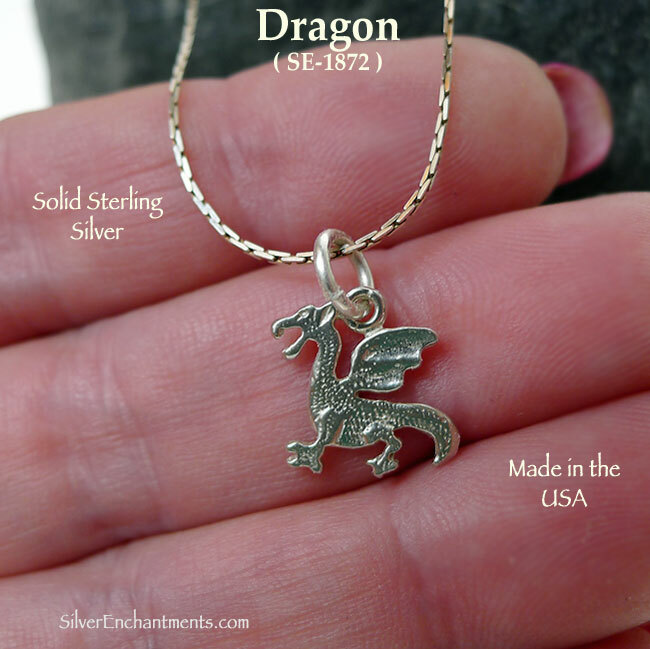 A beautiful sterling silver dragon charm for your fantasy charm bracelet or to wear as a small pendant on your favorite necklace chain. 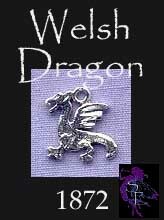 These Welsh Dragon charms are cast here in the USA in Solid .925 Sterling Silver and measure approximately 13mm x 12mm. Overall Size, approx. : 13mm x 12mm = ~1/2" x ~1/2"
Y Ddraig Goch - Welsh Dragon Lore / Welsh Dragon Symbolism - Y Ddraig Goch, The Red Dragon of Wales, is the symbol of resurgent Wales. The Red Dragon was originally a griffin on the standard of a Roman legion headquartered in North Wales, but early on came to be associated with the fighting dragons imprisoned by Lludd and Llefelys. The significance of these dragons was pointed out by Myrddin, the Merlin of Arthurian legend, in the time of Vortigern. The two dragons, one white, one red, had fought for many years. The white dragon at first prevailed but in the end the red dragon overcame the white. Myrddin explained that the Welsh would ultimately, after a long period of adversity, overcome the foreign invaders, and maintain their language, lands and freedom. 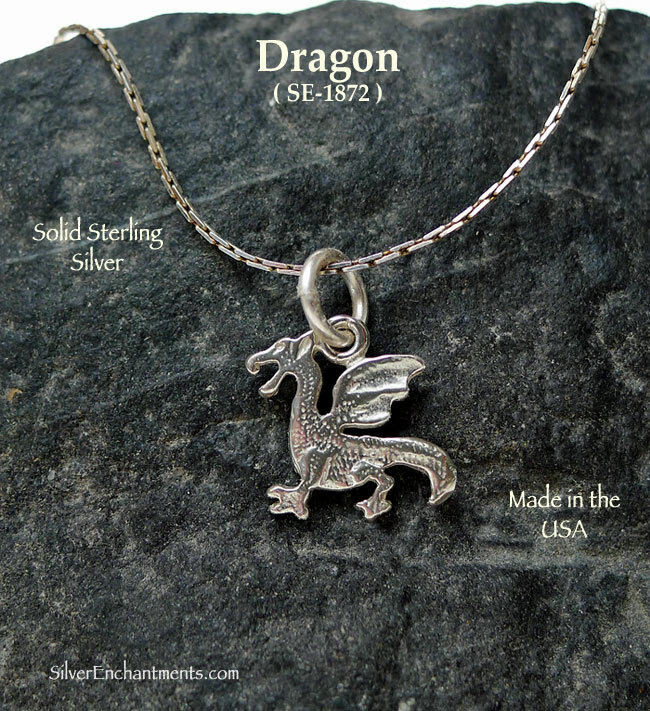 > You can Customize this item into a Dragon Necklace -- Choose from : Charm Only, or on a Sterling Silver Necklace Chain (see last picture for current chain style). 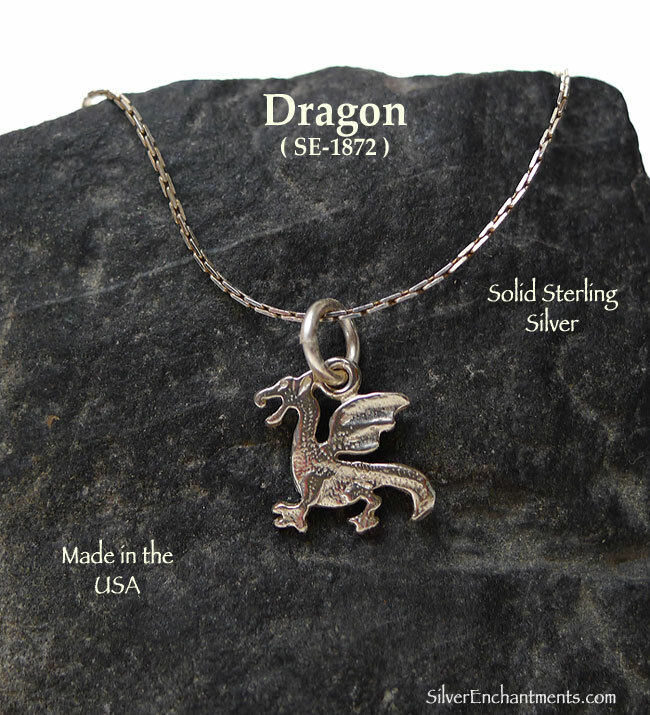 When selecting on a SS Chain, your Solid Sterling Silver Dragon Necklace will come Boxed. > Sterling Silver Dragon Earrings are Also Available. > Dragon Belly Rings are Also Available.